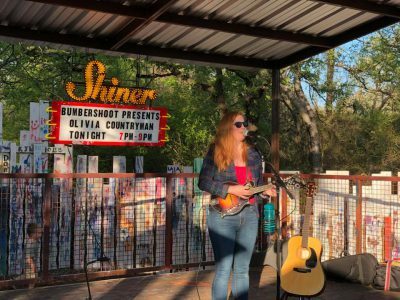 The Denton event calendar is filling up quick and Golden Triangle has some great things to do all March long! Join us from March 17-31 for your chance to get pictures with the Easter Bunny! Don’t miss your chance to get classic photos of your kids with the friendly Easter Bunny. CALLING ALL KIDS CLUB MEMBERS: This special event is one all kids will remember! 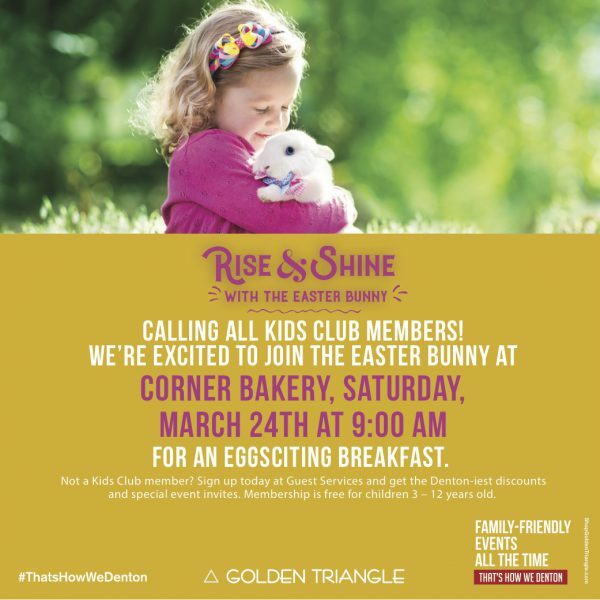 Join us at Corner Bakery in the Golden Triangle parking lot for a breakfast with the Easter Bunny. 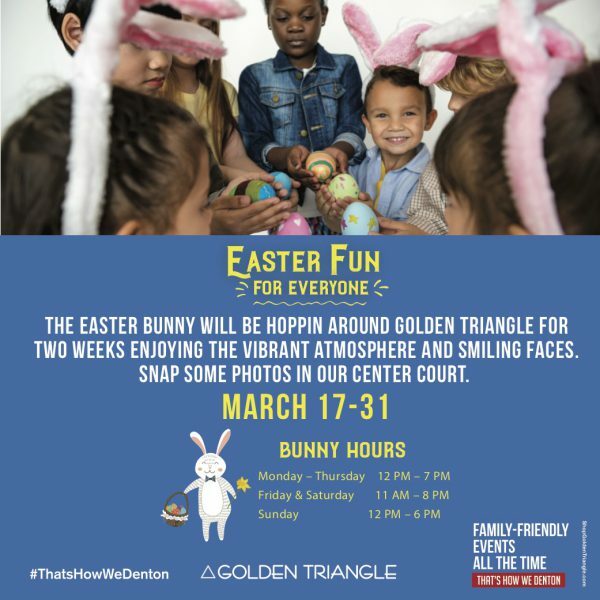 This is another chance for you to get some memorable pictures with the Easter Bunny and enjoy some Denton food. Is your child not a Kids Club member? No worries, membership is free and available for all kids 3-12! Stop by Guest Services to join. The Taste of North Texas is returning to Golden Triangle Mall for the second year in a row! Enjoy the tastes of local North Texas dining from places like Chiloso Mexican Bistro, Beth Marie’s, Mellow Mushroom, Kolache Haven and more. You can buy tickets online or at the door. Taste of North Texas is benefiting the Denton Kiwanis Children’s Clinic in 2018 so be sure to come out and support and enjoy some great Denton food. The Easter Bunny has brought some gifts for the first 100 kids to visit Guest Services. 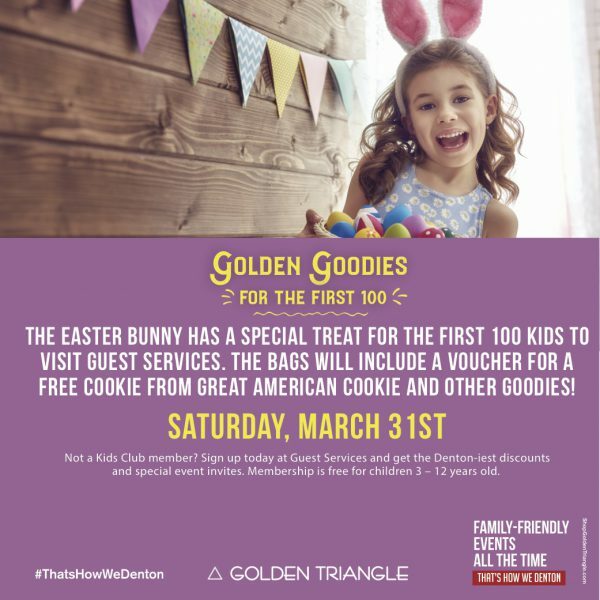 The goodie bags will have some eggciting gifts for the kids that will include a voucher for a free cookie from Great American Cookie and more! When you’re looking for things to do in Denton, TX – be sure to check out Golden Triangle Mall’s Denton event calendar. We’re always adding events and have some more exciting things planned for the rest of 2018. From Denton food to Denton music, we always keep is local. That’s how we Denton. 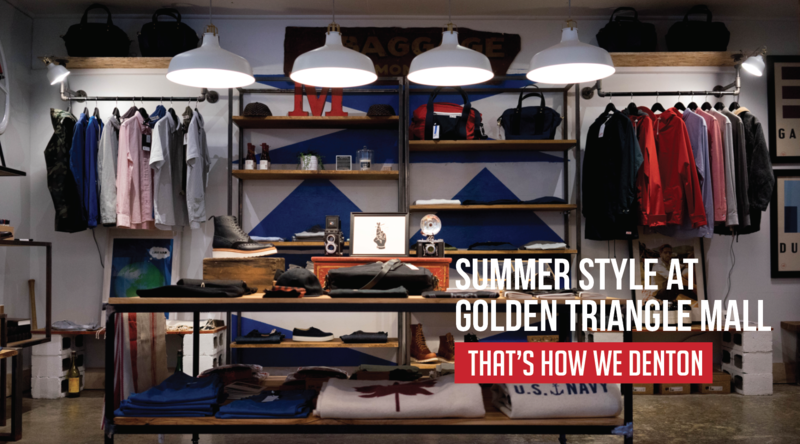 Show us how you Denton and tag us on Instagram, Facebook or Twitter!